"I AM A WORLD CITIZEN". This contest aims to promote discussions about cultural diversity through the creation of drawings. 1st Feb 2015 Opening of the contest. 21st May 2015 Results: the 10 winners are announced on the web site during the World Day for Cultural Diversity for Dialogue and Development. Format : It is recommended to make the drawings on a horizontal A4 in size, in order to prevent it from being reduced or cut accidently. 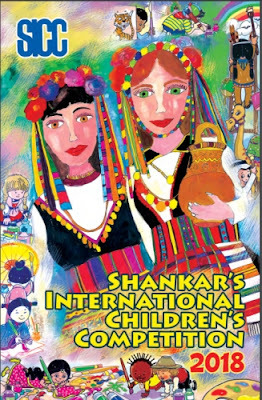 As this contest is international, it is best not to write on the drawings..
Educational toolkit: To facilitate the discussions around cultural diversity, an educational sheet, as well as other tools, are available in the "Resources" part of this website. Selection : For each age category, a team of GreenBees members will select 12 drawings. These will be then judged by an independent jury, including teachers, artists, and representatives of organisations promoting cultural diversity. Winners : All received drawings take part in a giant mosaic, which illustrates cultural diversity. The 10 winning drawings will be published and offered to the public, to help promote cultural diversity. The winners, as well as participating schools and organisations, will receive a “thank-you” set of cards. You can also submit your scanned drawing directly online, using the online submission form.